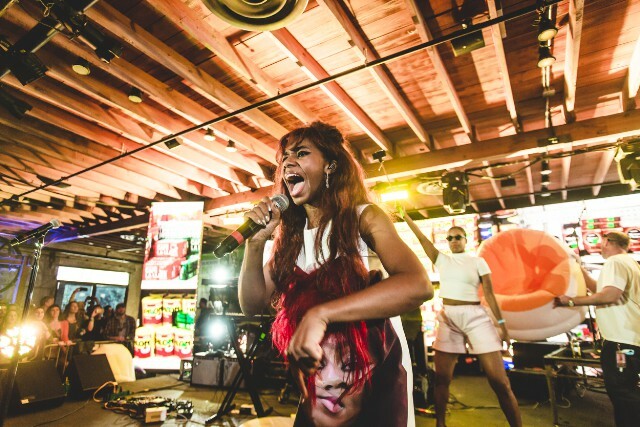 SPIN closed out the final day of South by Southwest with a blow-out party at the Bud Light Factory, featuring energetic performances by Santigold, Bloc Party, Lissie, Lizzo, and the Range, along with DJ sets by the Teklife crew and footwork from the Era. It was truly a special event to wrap-up the last day of Austin’s annual music festival. Here’s a selection of highlights above captured by SPIN photographer Jake Giles Netter. For additional coverage from the event, check out SPIN’s recap here.